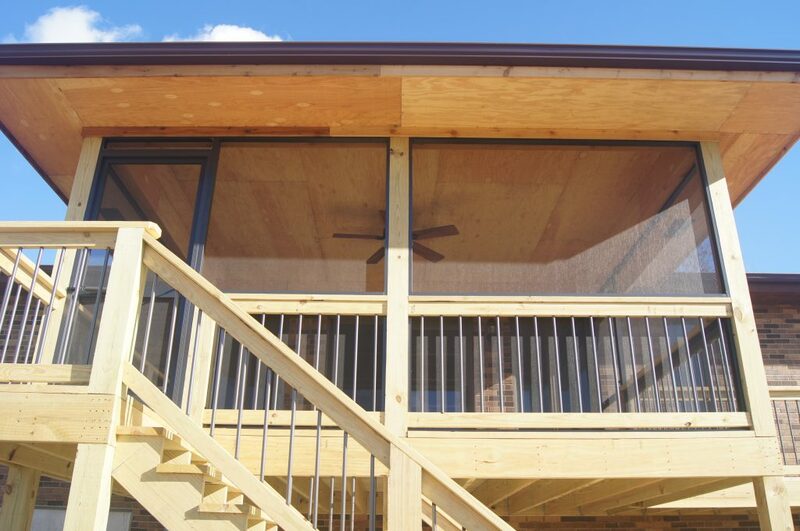 Screened porches are a great addition to any home. 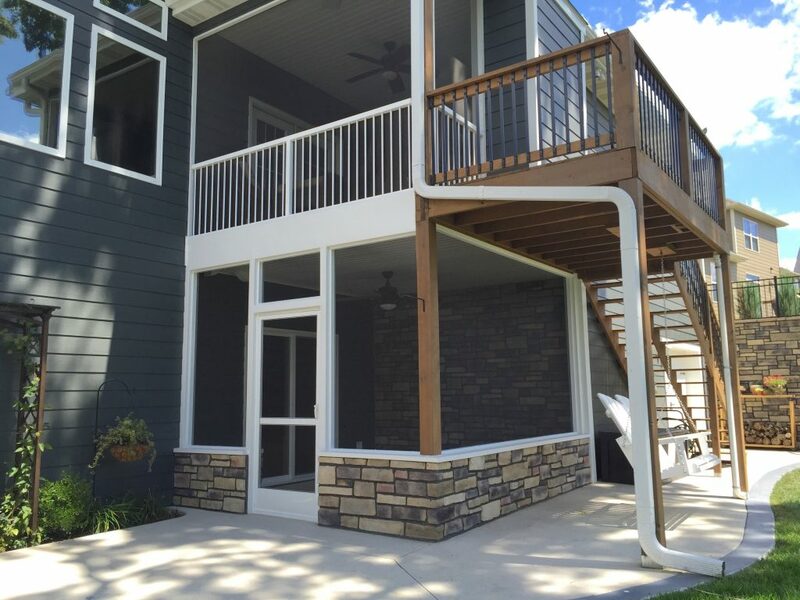 With a custom TrueSon Exteriors screen porch, Columbia homeowners can enjoy nature’s warm breeze from the cool comfort of their own home. But, what about the fall and winter? When cold fronts approach, sunrooms and enclosed patios can become sadly vacant, anxiously awaiting spring to roll around. At TrueSon Exteriors, we hate to see any beautiful outdoor space go to waste in fall and winter. Here are some great ways to utilize your screened in porch year round! There’s no need to find a new spot to enjoy your morning coffee. By simply adding a heat source to your screen porch, you can create a cozy and comfortable outdoor space despite the weather. Enjoy the view from your TrueSon Exteriors porch while watching the snowfall only inches away. Meanwhile, you’ll remain unphased by cold temperatures that’re outside the warm glow of your new fireplace or heater. Enjoy the beauty of your screened porch any time of the year by installing a wood burning fireplace or purchasing a gas stove. Both options will give warmth and comfort to your space. If your porch is large, a wood burning fireplace will be your best choice. Although these fireplaces can be more costly than portable alternatives, they exert more heat to fill a greater space. With a smaller screened porch, a gas stove can definitely do the job. Whichever you choose, an added bonus is the s’mores or hot dogs that a fire can help you whip up for friends and family. 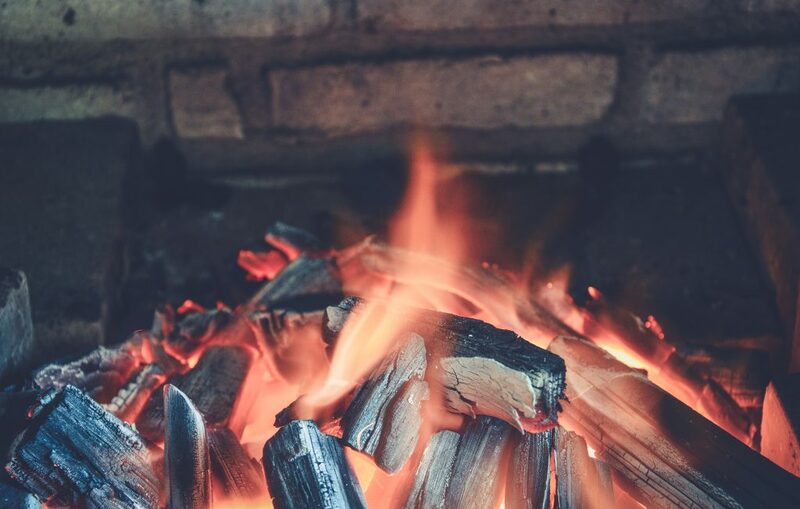 If you’re on a budget or don’t have the time and resources to install a fireplace, space heaters and heat lamps are a great way to warm your screened in patio for the fall. With a variety of sizes and styles to choose from, portable heaters can also add aesthetic appeal to your patio. They work best for heating smaller spaces and have the ability to be hung or placed on different surfaces to avoid impeding any foot traffic. Surround yourself with the warmth of loved ones on your screened in porch this fall and winter. With holidays approaching, and plenty of other reasons to gather, why not utilize this gorgeous addition to your home? By creating warm and inviting spaces on your patio, its benefits can last year round. Hot tubs are a great way to warm up any time of year. If space allows for it, adding an above-ground hot tub to your screen porch will make your home the new hot spot in town. Together, family and friends can experience the invigorating feeling of cool air flowing from the screen walls while steam rises from the jacuzzi. Nothing gets body temperatures rising like a spiked hot cocoa in the winter time. That’s why adding a bar to your screened in patio can supplement other heat sources in keeping guests warm when the weather can’t. 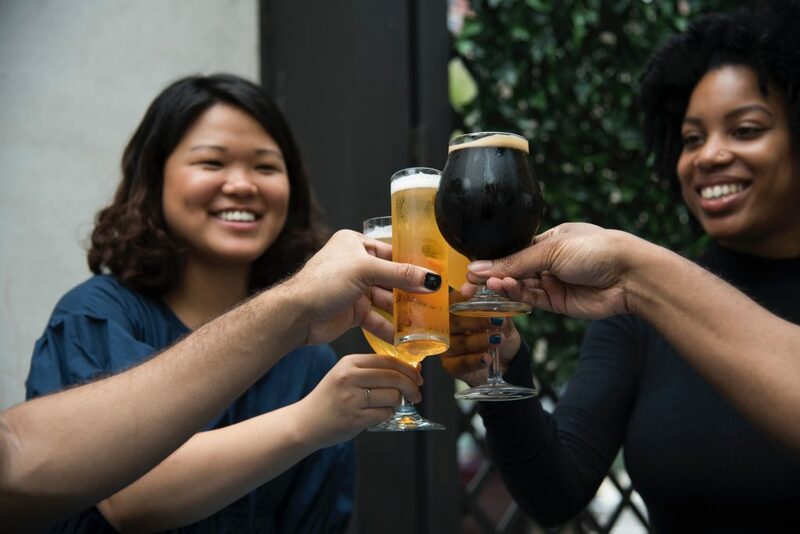 Bars offer entertainment value, a place for people to congregate and visual appeal. With plenty of portable bars to choose from, you can easily maneuver your new bar throughout your home to serve a variety of purposes. Also known as passive heating, enclosures are a way to add heat to your screened in porch without purchasing an actual heater. This is a simple solution that involves lining your porch walls with large sheets of clear vinyl. Similar to vinyl siding installation for your home, vinyl patio enclosures work to insulate screen porch walls by trapping heat inside while still allowing fresh air flow from outside. Each vinyl sheet is independent from one another, allowing Columbia homeowners the freedom to unveil any number of screen walls on nicer fall days. Enclosures have the added advantage of protecting the inside of your porch from rain and wind damage year round. When combined with space heaters, even the most frigid temperatures can be masked from the inside of your screen porch. As the high quality vinyl at TrueSon Exteriors is nearly invisible, we can maintain the same level of transparency to the great outdoors as your screen does. Get a Free Estimate for Your Screen Porch Today! A custom TrueSon Exteriors screen porch will add year-long value and enjoyment to your home. Contact us today to get a free estimate and enjoy Columbia’s fall and winter seasons in a whole new way!